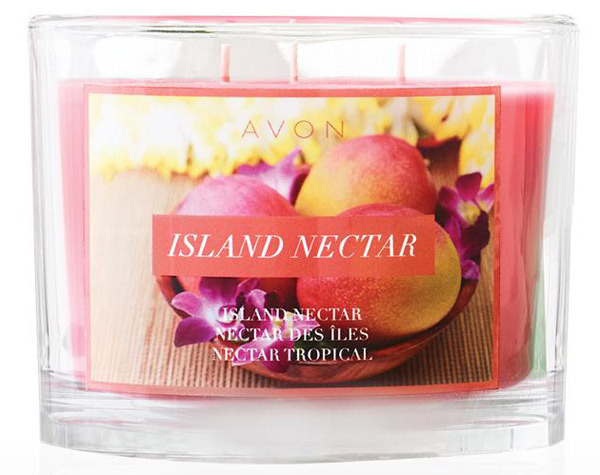 Use Avon Coupon Code LDAY during checkout and receive 20% off your Avon order of $60 or more. Shop Now and Save More on Avon Beauty Products, Jewelry, Makeup and more! This offer expires at Midnight, ET, September 6, 2016 and is valid for Direct Delivery Only. Exclusions Apply. Shop Avon’s Summer Flash Sale. Save up to 30% Off select Avon Beauty Products, Makeup, Fragrance, Skin Care and much more! Shop my Avon eStore now! No Avon Coupon Code needed. 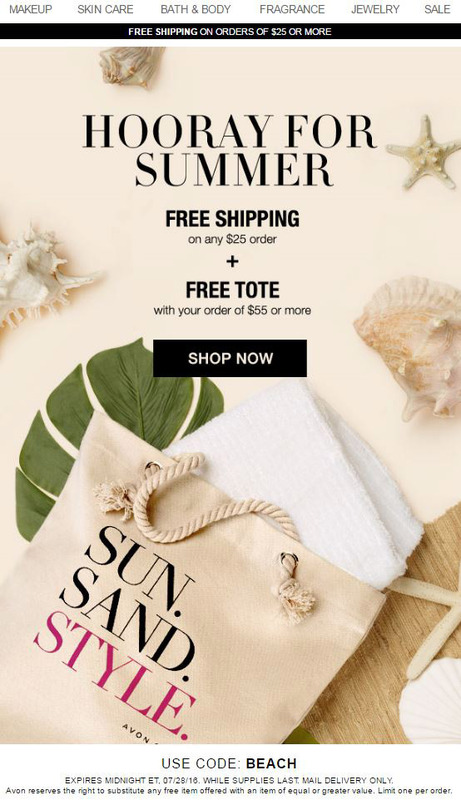 Enter Avon Coupon Code BEACH during checkout and get FREE SHIPPING on your Avon order of $25 or more, PLUS get a FREE TOTE with your order of $55 or more. 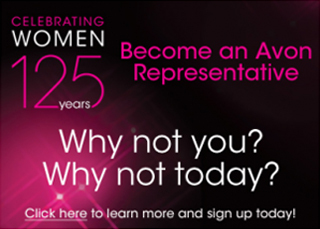 You can’t get a better deal on Avon, delivered right to your door. Start Shopping Now! EXPIRES MIDNIGHT ET, 7/28/16. MAIL DELIVERY ONLY. WHILE SUPPLIES LAST. From the beach to the park, this handy and reusable tote is the perfect size to stash all your goodies and sun care essentials.